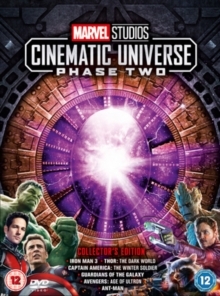 Double bill of sci-fi action features following the Marvel Comics superhero. 'Ant-Man' (2015) begins decades after scientist Hank Pym (Michael Douglas) invented a special suit that would allow him to transform to the size of an ant and give him super-strength. 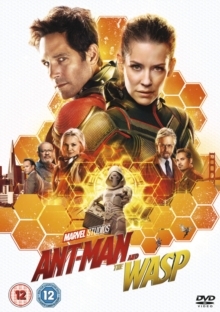 The ageing hero approaches petty thief Scott Lang (Paul Rudd) and, with the help of his daughter Hope van Dyne (Evangeline Lilly), Hank trains him to become the new Ant-Man. After Darren Cross (Corey Stoll) takes over his former mentor Pym's business he produces a similar suit to be worn by the military as well as a more powerful version for himself, transforming him into Yellowjacket. This results in chaos and it's up to Ant-Man to use both his thieving skills and his new-found abilities to prevent Pym's technology from falling into the wrong hands. 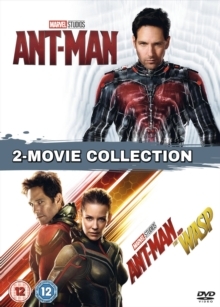 In the sequel 'Ant-Man and the Wasp' (2018), set after the events of 'Captain America: Civil War' (2016), Scott Lang is placed under house arrest and is attempting to balance his family life with his responsibilities as Ant-Man. 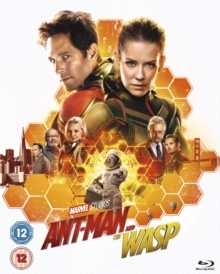 After being approached by Hope van Dyne, now also known as the Wasp, and her father Hank Pym with a new mission, Lang must put his personal struggles to one side as he teams up with the Wasp in a bid to uncover some dark secrets from the past.